For Brown Fan's: you 've probably already read this but if not rush out! I read this well after reading "The DaVinci Code" and I found this to be a quick, exciting read. Mr Brown has certainly studied cold climate and its effects as well! Simply put, you wont be disappointed if you decide to read Mr Browns novels, - even though they are not about the same topic. He is a great story teller that keeps you on the edge of your seat. Perhaps Hollywood would find a way to produce this novel into a movie too. 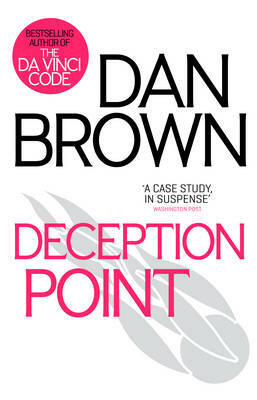 This book is not as good as Dan Brown's other books, but it's an okay book to read. It starts out slow, so you have to chug through the first chapter or so, but once you get past that then it gets much better. Just make sure that you give it time. I thought I knew where it was going and I was suprised. Very well written. I had a good time reading it. My daughter picked it up after me. It is on the Summer reading list and I recommend it. it hard to put down. A cross between sci-fi and suspence.An excellant read.Dan Brown at his best.